He did Francis Goes to the Races (1951), another big hit. Clara Lou Sheridan, known professionally as Ann Sheridan, was an American actress and singer. She worked regularly from 1934 to her death in 1967, first in film and later in television. Notable roles include San Quentin (1937) with Pat O'Brien and Humphrey Bogart, Angels with Dirty Faces (1938) with James Cagney and Bogart, They Drive by Night (1940) with George Raft and Bogart, The Man Who Came to Dinner (1942), Kings Row (1942) with Ronald Reagan, Nora Prentiss (1947) and I Was a Male War Bride (1949) with Cary Grant. Margaret O'Rene "Peggy" Ryan was an American dancer, best known for starring in a series of movie musicals at Universal Pictures with Donald O'Connor and Gloria Jean. Theodore Childress "Chill" Wills was an American actor and a singer in the Avalon Boys Quartet. Mary Elizabeth Hughes was an American film, television, and stage actress best known for her roles in B movies. 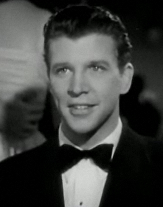 Robert Paige was an actor and a TV newscaster and political correspondent and Universal Pictures leading man who made 65 films in his lifetime: he was the only actor ever allowed to sing on film with Deanna Durbin. Arthur Lubin was an American film director and producer who directed several Abbott & Costello films, Phantom of the Opera (1943), the Francis the Talking Mule series and created the talking-horse TV series Mister Ed. A prominent director for Universal Pictures in the 1940s and 1950s, he is perhaps best known today as the man who gave Clint Eastwood his first contract in film. Francis Covers the Big Town is a 1953 American black-and-white comedy film from Universal-International, produced by Leonard Goldstein, directed by Arthur Lubin, that stars Donald O'Connor, Yvette Duguay, and Gene Lockhart. The distinctive voice of Francis is a voice-over by actor Chill Wills. This is the complete filmography of actress Yvonne De Carlo.